Dharamshala is internationally known as the home of Dalai Lama. Traditionally known for its temples and monasteries, Dharamshala became popular among the sports enthusiasts with the introduction of ODIs and IPL T20s at the HPCA stadium. It is soon to be the first smart-city of Himachal Pradesh. The beautiful stretches of the dense Deodar forests of the hill station definitely put it among the best places to visit in India in July. Kangra Fort, Bhagsunath Temple, Bhagsu Falls, Namgyal Monastery, Dalai Lama Temple complex, HPCA Stadium, and tea plantations of Kangra valley are the best places to visit in Dharamshala. Meditation & stay in Namgyal Monastery, boat ride in Dal Lake, and walks through the tea plantations are the things to enjoy on a trip to Dharamshala. Bhagsu Village is a quaint but highly picturesque ‘Gaddi’ (a shepherd tribe) Tribal village where traditional livelihood was herding and farming. It lies at an elevation of 6,669 feet above sea level. 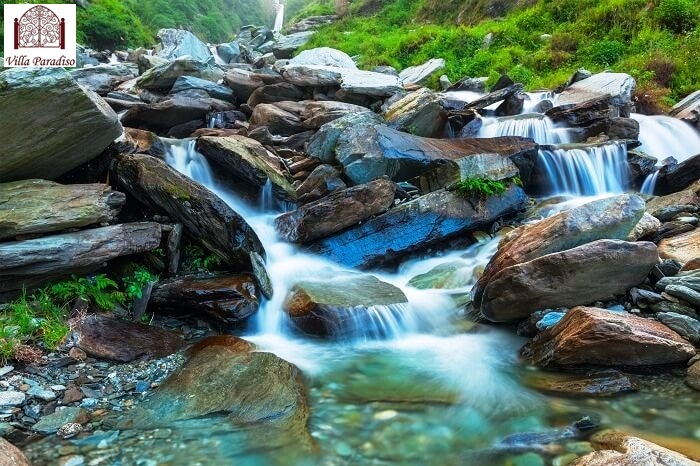 Over the years, this quaint little village has emerged as the hub of tourist activity at McLeod Ganj, and the beautiful Bhagsu Falls have a huge part to play in this found fame. These falls are 30 feet high. From the Shiva Temple, the only way to reach these falls is by walking. The trek is easy as proper walking trails are paved in between the hilly walks. I am happy after getting stuff about the beautiful Bhagsu Falls and will try to explore this fall once again after my enjoying the cherry blossom boat tour. I am sure I will enjoy there. Bhagsu Falls is a beautiful spot which is located in India. I heard lots about this and now finally will like to go there just right after mine day trips from las vegas by bus. I am quite sure this would be wow for me. Beautiful Bhagsu Falls is an amazing place which I have explored just before and would like to go there again in summers.